Whimsically Macabre Music: Whimsy and Wonder collection of 10 whimsically macabre pieces is now available! Whimsy and Wonder collection of 10 whimsically macabre pieces is now available! 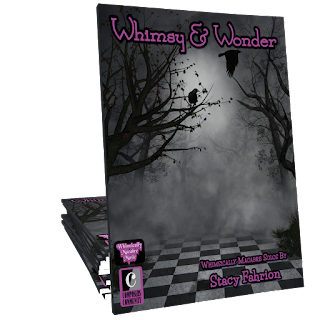 Whimsy & Wonder features ten delightfully macabre solos for intermediates composed by Stacy Fahrion. These quirky, neoclassical twists on favorite nursery rhymes will delight pianists of all ages who are looking for unique performance pieces.